For many who look back at their university experience, the year that generates the least nostalgia is the final one. Sure, you still had a great time and loved the environment, but you couldn't ignore work with the abandon of the previous two years. At certain points, you were undoubtedly drowning in a sea of essays, exam preparation and dreaded dissertation deadlines. But should academia be the sole focus of a final year university student? Unfortunately not. It's all fine and well to have a degree, but more and more, ample preparation needs to be made so that once you've finished university, you're tailor made to head straight into work. Let's take a look at how final year students should prepare. Why is preparation for the job market so important? Obtaining a degree is brilliant. It's the reward for those long library hours, worries over deadlines, re-writes, research and early morning (at least, in your mind) lectures. The key though is they open doors to careers which may have been previously shut. However, it's as important now as it ever has been to stand out from the crowd. Though we have previously covered graduate opportunities, it's worth pulling out a couple of telling points. Firstly, UCAS's End of Year Cycle from the end of last year highlighted that the number of university applicants rose by 4%. The competition that students face from each other to find jobs is further underlined by analysis from the Higher Education Statistics Agency (HESA), which shows some 745,005 graduate qualifications were obtained. The number of students now entering university is vast, and this is being felt through graduation numbers according to the Chartered Institute of Personnel and Development (CIPD). We see far too many students for the first time just after their final exams, who have by then missed out on great opportunities which would have been perfect for them. They released a policy report last year that outlined overqualification in the graduate labour market, with the knock-on effect of an increase in graduates in jobs that are deemed non-graduate roles. The document says higher education expansion in the UK has been greater than in the majority of European countries leading to "a phenomenon known as occupational filtering down - graduates entering jobs that were once done by their non-graduate mothers and fathers." What is telling from this report is that the number of graduates is now outstripping the creation of high-skilled jobs by some distance, meaning overqualification is at saturation point. It means graduates applying for positions at the end of their studies face fierce competition to get the job they want. This makes it even more imperative for all individuals to be thinking about their career moves during the final year of university. It is the only way to get ahead. It is understandable to want the best possible result in your degree, so don't neglect your studies for job seeking. Do, however, set aside some time every week to landing the right opportunity. 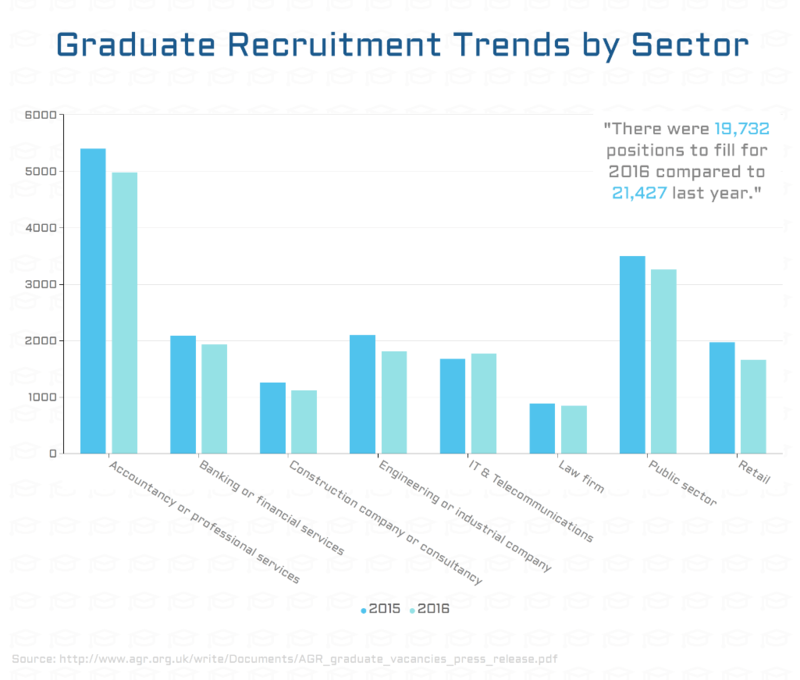 It would appear so, with evidence suggesting students know the challenges of achieving graduate recruitment and are doing something to assist the student-to-graduate transition. A recent study sent to us from the .uk domain suggests that graduates "kick-started their career the moment they set foot on campus." Surveying more than 1,000 UK graduates from the past three years, the study shows that over a third spent an average of four hours a week on activities aimed to boost their employability. Increases in tuition fees along with the loss of maintenance grants are also responsible for students taking their time at university more seriously. Russell Haworth is the CEO of Nominet - the company that runs the .uk domain and he outlined why students have to focus on their careers: "The student experience has changed. Not only is university more expensive, but the job market is highly competitive. It's not enough to tell a future employer why you should get the job - you've got to show them." Some of the themes touched on here will be explored in further detail later but we thought who better to get advice from than a university? They know better than anybody what students should be doing to prepare for work, what makes their job hunt successful and how they can improve. To that end, Tim Bradshaw, Careers and Employability Adviser at the University of Sussex, gave some valuable insight about what students should do to optimise their chances of success. Many students leave job hunting until the last few weeks of their course. The key is to start early. Tim understands perfectly the temptation to focus on studies - "these are undoubtedly important," but paying attention to what comes after university is 'vital'. He said: "If you want to have the pick of graduate jobs to choose from, and move seamlessly on to fulfilling work as the reward for all that hard work on your degree, it is vital to make a regular investment of time in researching and applying for work. "We see far too many students for the first time just after their final exams, who have by then missed out on great opportunities which would have been perfect for them." The university, which advises students to take advantage of the vast experience of their careers service, can also offer employability modules within the courses of some students. These are extremely useful in the search for work. According to Tim, there is more variety regarding when graduate vacancies are advertised. Despite this however, most are advertised during the autumn, giving students the chance to secure work before taking their final exams. As such, planning ahead and making time for your job search is crucial. Tim said: "Many attractive job vacancies open up to final year students during the autumn. By this time, successful applicants have given themselves an edge by identifying what they want and researching employers and job roles which interest them. "Planning also allows applications to be spaced out through the final year and submitted well before the deadline, without the stress of having multiple deadlines looming. "It is understandable to want the best possible result in your degree, so don't neglect your studies for job seeking. Do, however, set aside some time every week to landing the right opportunity." The student experience has changed. Not only is university more expensive, but the job market is highly competitive. It's not enough to tell a future employer why you should get the job - you've got to show them. What is important for final year students? It is clear that more students realise they need to apply for jobs sooner, and the quality of these applications is improving. Therefore, students need to do even more to stay competitive and ahead of the game, amidst studying to gain a degree. How can students prepare for the job market? 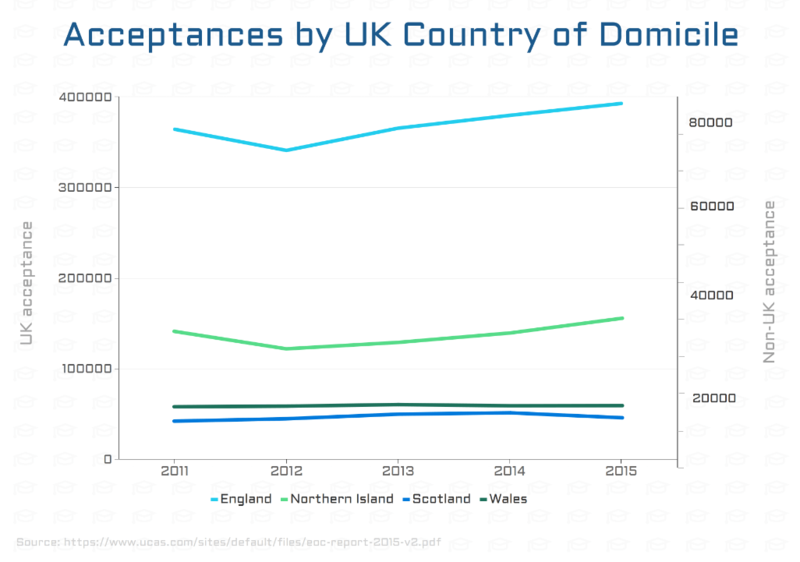 It's hardly a revelation, but with an increasing university workload to tend to, it can be easy to delay the application process. Days can turn into weeks, even months. Once that happens and deadline demands are at their optimum, it's a difficult pattern to shift. The existing evidence shows that major companies are experiencing an upturn in early applications, and with an increase in quality, the need to get early applications in and get them right is even more pressing. It's certainly a case put forward by Mike Hill, Chief Executive at Prospects, who provide students and graduates with invaluable advice for their job search. He said: "Many students leave job hunting until the last few weeks of their course. The key is to start early." From a former student perspective, Matthew Loughlin, Head of Paid Search Advertising at Receptional Internet Marketing, remembers his university days well, and the way preparing for jobs was at the back of his priorities - a 'foolish' error. Starting your search early also serves another extremely handy purpose: it will give you a better idea of the jobs you do and don't want to apply for. He said: "I quickly realised that I had spent so much time on my dissertation and exam preparation that I'd neglected to really prepare myself for what comes next. This was very foolish in hindsight and led to a panicky summer with some bad life choices." Dissertations and exam preparation are very important, there's no getting away from that. But they serve to open windows of opportunities, rather than guaranteeing you take them, so be prepared to hit the ground running in your final year. For graduate jobs, be prepared to have applications in by November at the latest. The go-getters amongst you may have already used September to finalise an application. If so, kudos! The sooner, the better. Cameron Boakye, who has benefited from a place on the Freeformers Talent Programme, which aims to equip young people with the knowledge for future employment, believes applying early not only helps you gain an advantage, but is useful for 'testing the water'. "The final year is an important time to apply for jobs because you don't want to be left in limbo. Applying for different jobs and schemes during this time allows you to test the water to see where you want to be." Despite the impending feeling of doom, with the deadlines raining down, university is actually one of the best times to gain an advantage over the competition. You'd be surprised how difficult it is to look for jobs once in full time work. Whilst you've got time on your hands, make the most of it. What do you know about the career you want to pursue? Swot up on this as much as possible. Access to libraries, especially in this day and age, shouldn't be taken for granted. Prioritise visiting university careers services as they can support you through much of the process from exploring career options to CV writing. Use your amazing university library to help you determine what it is that you want to do. Universities are the best place to get help and broaden your knowledge. Found a potentially useful lecture that isn't part of your course? Ask to sit in. Who knows what you might learn?! Aaron Dicks is the Managing Director of Impression, a Digital Marketing Agency. He advocates attending other lectures while the time is available to do so. "Many universities allow students to attend lectures outside of their degrees and careers departments hold regular seminars and talks. If you can write about your findings on a blog, even better. This can act as your portfolio during future application processes." Mike Hill at Prospects also urged students to use their time to take advantage of the services offered at their universities. He said: "Prioritise visiting university careers services as they can support you through much of the process from exploring career options to CV writing. Careers fairs are a great opportunity to get to know employers." Getting out and meeting not only people, but those that could influence any future career, is also an important step to take. Going to networking events that are relevant to your career can have wide reaching advantages. Aaron says: "This allows you to get more of a feel for the industry and could lead to you meeting a potential future employer." Okay, the great man may have been talking about experience in a different context but this view will no doubt be shared by many an employer. Of course, degrees are important, but having experience of a chosen industry will do your employment chances no harm at all. Your final year is a great time to get the requisite experience. The most proactive students out there may have been doing this before they enter the final year. However, financial constraints can derail these ambitions. Some may use their summer holidays to earn money, others may not have to. Either way, time in the final year can still be used productively for work experience. A recent graduate is Melissa Lang, of Smarter Digital Marketing. She is under no illusions that work experience was responsible for developing her skills. She said: "I have been graduated for over a year now and believe it was work experience during my last year that really developed my skills. Most of the technology that businesses are using is not taught at university, therefore it was important for me to gain practical agency experience." This succinctly displays the benefits of work experience. It plays a major part in helping students get their foot in the door, adding another level of employability to go with your degree. What type of experience can you get? Many of the employers we spoke to urged students to make the most of out-of-term weeks, whether summer holidays or half term. Gaining work experience, whether it's at weekends, evenings, or during holidays can only serve to put you in an extremely strong position by the time graduation comes around. Aaron Dicks championed internships, part time jobs outside of studying, as well as attending enterprise days "that allow you to work with external businesses." Flying Start XP's Founder is James Prior. He raised another interesting avenue; specifically, gaining industry experience even if it isn't in your career of choice. This is because it will still count as good experience. He said: "You don't necessarily need to have experience in your chosen field in order to make yourself appeal to employers. All business experience is good experience, even if it may not feel like it at the time." Gaining work experience, whether it's at weekends, evenings, or during holidays can only serve to put you in an extremely strong position by the time graduation comes around. It gives students an insight into the working environments that they may aspire to be a part of. Not only that, more often than not, it can help to confirm whether or not a particular career is for you, and critically, students are likely to meet company decision makers who help with recruitment. Impress these people and you've won half of the battle. At Agency Central, we know the value of social media more than most. The likes of Facebook, Twitter, LinkedIn, Snapchat and Instagram all have a place in business. The same is true of many of these for students looking to market their skills. Social media can open up dialogue with employers and be invaluable in impressing recruiters and getting students on that all important job ladder. If used correctly, it can make students known to employers, decision makers, and employees of various industries. It can be a tool to gain work experience, apply for jobs, or simply network with those who may be able to help with your career moves. Lauren Wilson is a digital PR Account Executive at Impression and one of six graduates that the company has hired in the last 18 months. She outlined just how important a sound LinkedIn profile is to helping students find work, despite understanding "LinkedIn profiles can be neglected during deadline time." She said: "By adding keywords such as 'digital PR' and your preferred location of employment, you will increase your chances of your profile popping up in front of a future employer in both the LinkedIn and Google search results." As we can see, if students use LinkedIn correctly, they can make themselves known to employers before even attaining their degree qualification. Automatically, this gives those students an advantage over those who don't spend time thinking about life after university. What are they going to think about you when they see your activity on Twitter? In the run up to launching yourself in the job market, consider your use of social media carefully. The increasing importance of social media is laid bare through James Prior's assertion that a reported 60% of employers screen the social media of a candidate. This raises another obvious issue for students in their final year; the correct usage of social media. Of course, this applies for any candidate at any stage of their lives, not just students. James advises students to keep their social media use "clean or private." "Once you're part of a company, what you do on social media is a reflection of the company and the things you post on social media could have negative repercussions for you and the business." Aimee Bateman is the CEO of Careercake.com. She makes it clear that behaviours and mindsets change on whether you're working, studying or on a night out. These changes manifest on social media postings. She warns students to think about how they are presenting themselves to future employers. "What are they going to think about you when they see your activity on Twitter? In the run up to launching yourself in the job market, consider your use of social media carefully." Instead of tweeting about your favourite night out, big booze ups, and houseshare shenanigans, use these platforms to cultivate the impression you want employers to have of you. If there's a chance employers will see a student's profile, it stands to reason that it should convey the type of person the student is, and why they would be a fit in the working world. Aimee explained this in more detail, imploring students to create a 'personal brand' and direct their online tone to this effect. "Think of people in your chosen industry, influencers and potential employers. Which three words, if you weren't in the room, would they use to describe you, or indeed which words would you want them to use? "There are a range of words you may which to associate yourself with, so think long and hard about three main ones. Once you've got these, you need to make sure your online voice and tone, and pretty much anything you put on social media, marries with one of those three words you've identified." 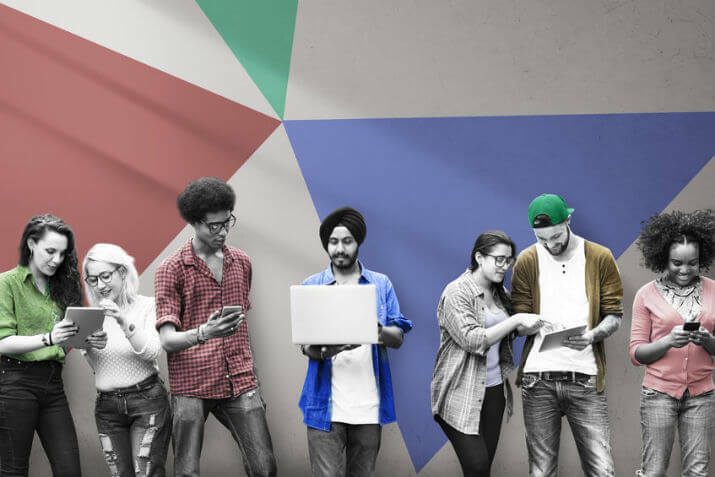 By marketing their skills in the final year of university, and ensuring these are visible throughout social media, students will massively improve their job prospects, even before they leave with their well earned degree. Once you're part of a company, what you do on social media is a reflection of the company and the things you post on social media could have negative repercussions for you and the business. What must university students do to succeed? Getting up and doing is key in a student's final year; be as proactive as possible. Enjoying your final year in the rare surroundings of university is fine, but make sure this does not come at the expense of accelerating job prospects. Starting early is paramount, as is taking advantage of every possible networking opportunity. Marrying these with work experience and a clear social media will put students well on course to net their desired job. Celebrating a degree in the knowledge that a job is waiting will make that success even sweeter.